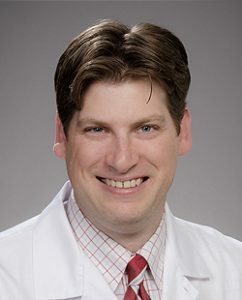 Dr. Bryce Robinson, Associate Professor, Division of Trauma, Burn & Critical Care Surgery, received the American College of Surgeons (ACS)/Eastern Association for the Surgery of Trauma (EAST) Health Policy Scholarship through Brandeis University. This scholarship will support Dr. Robinson to attend the one-week Executive Leadership Program for Health Policy and Management. The program will be held in June 2019 and is offered through The Heller School for Social Policy and Management at Brandeis University. It is a unique opportunity for attendees to learn more about creating innovative and sustainable solutions to improve the quality, cost-effectiveness, and efficiency of health care service delivery and participating in health care policy and reform.